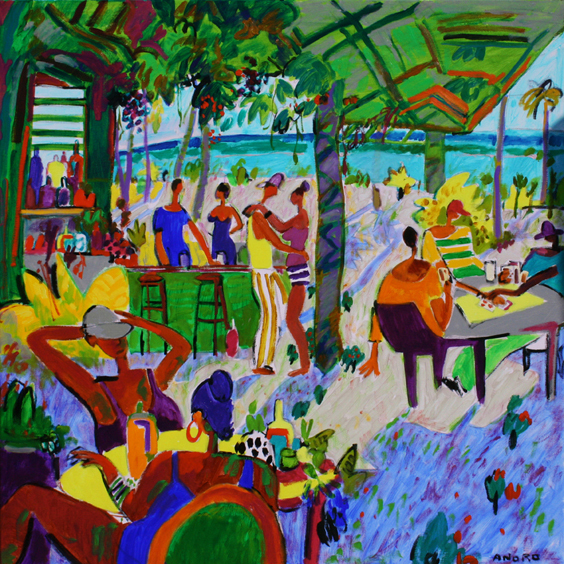 “To paint a picture, Caribbean’s bars are always enough…” Manel Anoro. It’s a pleasure to announce you the opening of the new exhibition of Manel Anoro, which will take place on 29th April at 8.45 pm, in the art Art Gallery “El Claustre“ in Carrer Nou, 8, Girona. The exhibition can be visited from the same April 29 until May 14, coinciding with Girona, Temps de Flors.